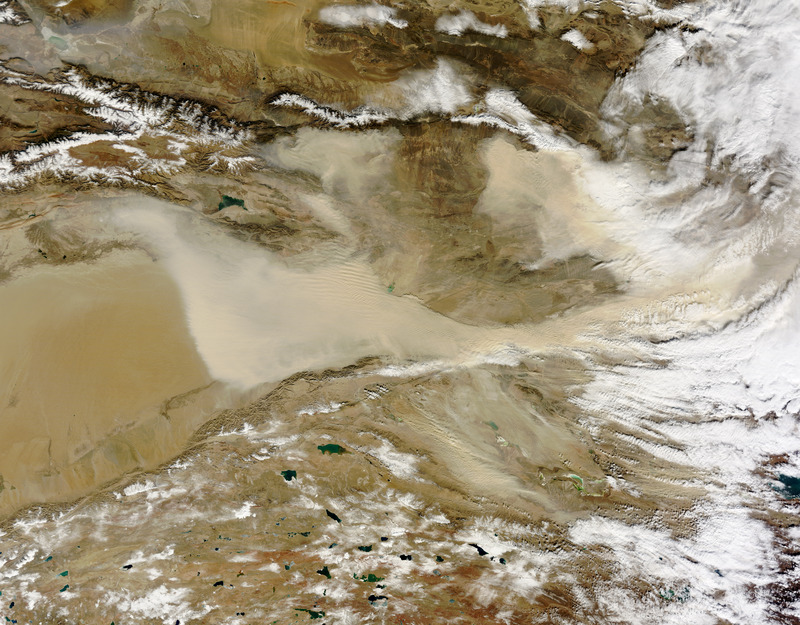 Dust blew out of the Taklimakan Desert in early November 2012. 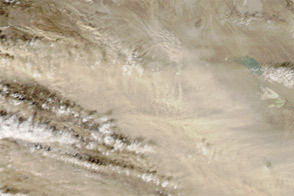 The Moderate Resolution Imaging Spectroradiometer (MODIS) on NASA’s Terra satellite captured this natural-color image on November 2, 2012. 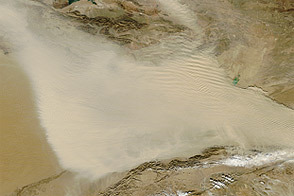 Part of the Taklimakan Desert appears along the left edge of the image. Dust plumes—thick enough in places to completely hide the land surface—blow away from the basin’s eastern margin. 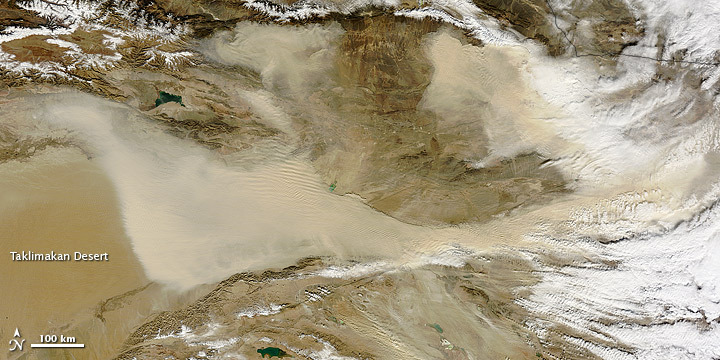 Acquired November 2, 2012, this image shows dust plumes blowing out of China’s biggest, hottest, and driest desert. 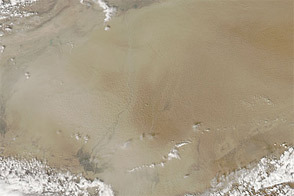 Dust blew eastward out of the Taklimakan Desert in early November 2012. World Wildlife Fund, McGinley, M. (2007) Taklamakan Desert. Encyclopedia of Earth. Accessed November 2, 2012.